The renegade asks the awkward, probing, difficult questions, suggests the unthinkable, goes against the stream. They provide the alternative with a wink and a smile, and if they are truly intent on starting a revolution, they will also walk the walk. 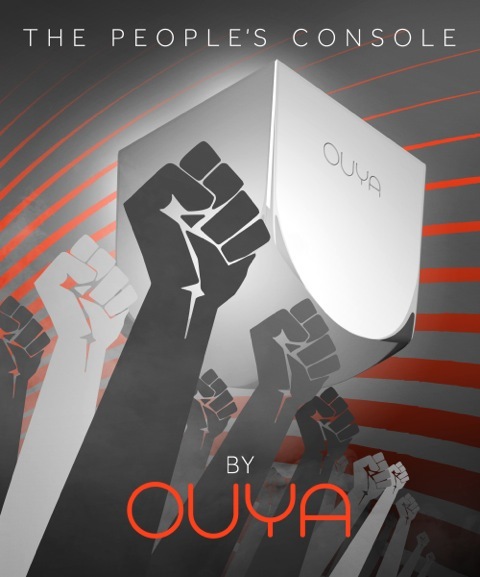 OUYA walks the walk without talking the talk. It has a very unconventional and excitingly alternative product wrapped in the shell of a generic tech-startup company. That image is failing to fire the imaginations of an industry built on creativity and engineering ingenuity, and that’s a problem when it comes to attracting content creators to the platform. When asked at the recent South By Southwest festival “What made you want to create the OUYA,” the vague, bland statement that came back was “Great content”. What should be the jumping off point for a deep discussion about all that is wrong with the games and media industry, (and how OUYA might solve that,) instead ends up as a sales pitch with a laundry list of features. OUYA needs to start fleshing out its marketing story. It needs characters with a history, with motivations, it needs an overarching narrative, it needs battles won and lost, and a rallying cry to bring people to the cause and fight under its banner. And OUYA has those things: A games industry ruled by corporate greed of big publishers slowly being ripped apart by a flood of crappy mobile games. A renegade group of industry veterans, tired of the same old same old, unsatisfied with the status quo and looking to mix things up. A plucky upstart console that reached out to the silent disaffected majority and offered to give them a voice and fight their corner! OUYA doesn’t have to offer all the solutions if it is the one asking the questions of the big gaming companies. What if EA and small indie dev were sat side by side in the app store? What if anyone could rip open the console and do what they liked with the hardware? What if there were no NDA’s or no secret handshakes to get a featured slot? This entry was posted in OUYA by James Coote. Bookmark the permalink. EA and a small indie do sit side by side in Apple’s app store. That is not a ‘what if’ scenario, it already happens.